After a 2016 recession blamed mainly on low oil revenues and unchecked corruption (Daily Post, 2017), Nigeria’s economy has been showing signs of improvement. Despite foreignexchange shortages, poor infrastructure, and likely political tensions ahead of the February 2019 general elections, economic projections have been positive, including expected gross domestic product (GDP) growth of about 2.6% in 2018 (Focus Economics, 2018). But how likely are these projections to improve life for everyday Nigerians? Poverty alleviation and economic development have been refrains in presidential election campaigns over the years, from Olusegun Obasanjo’s poverty eradication, rural infrastructure, social welfare, and youth empowerment schemes to Umaru Musa Yar'Adua’s seven-point agenda to Goodluck Jonathan’s Transformation Agenda. In the same vein, President Muhammadu Buhari’s Economic Recovery and Growth Plan (2017-2020) aims at restoring Nigeria’s economic growth (Office of the Chief Economist, 2017). But many election promises never translate into delivery of services that could improve the living conditions of most Nigerians. Almost half (47%) of the country’s population still live in poverty (World Poverty Clock, 2018); the African Development Bank Group (2018) estimates that eight out of 10 Nigerians live on less than $2 a day. 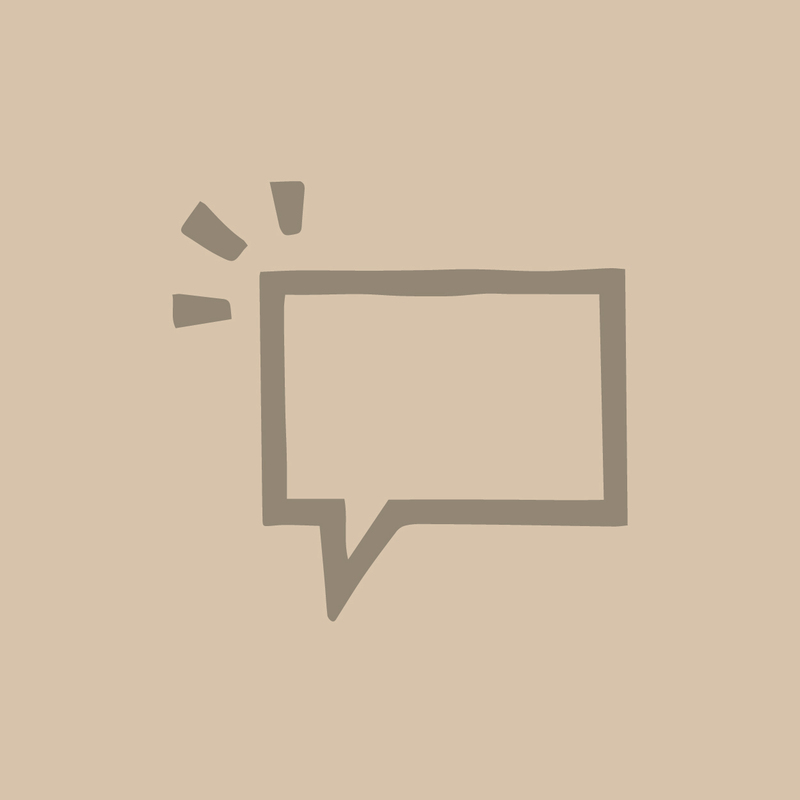 And while Nigeria’s Constitution calls upon the state to ensure that its people have adequate shelter and food, a living wage, medical benefits, and other necessities, many citizens still grapple with limited access to basic goods and services. 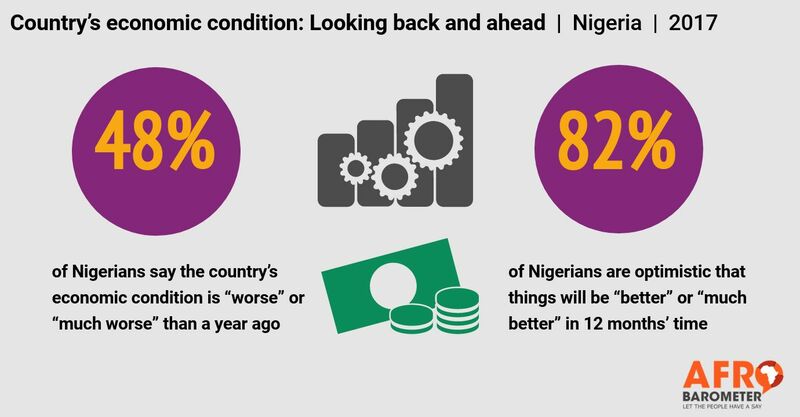 Afrobarometer’s latest survey in Nigeria indicates that a majority of citizens see economic conditions as bad and the country as going in the wrong direction – although on both indicators, public perceptions are less gloomy than a few years ago, and an overwhelming majority are optimistic that the economy will be better in a year’s time. More than one-third of Nigerians repeatedly went without basic life necessities during the previous year, and many say that obtaining public services was difficult, took “a long time,” and required the payment of a bribe.